A 5-week group challenge that is part education, part sugar detox, and part accountability. The program covers how digestion is supposed to work and how we can better support it through proper nutrition, blood sugar regulation, and the importance of eating enough high-quality fats. A one-time 2-hour consultation that addresses where you are now, where you want to go, and specific action steps for how best to get there through nutrition and lifestyle. Includes a food journal review, symptom analysis, and printable tips and cheat sheets. A comprehensive 3-month program to bring balance to the body, including an initial 2-hour interview, a detailed personalized action plan, follow up coaching calls every 2 weeks to monitor progress and answer questions, and adjustments as necessary to help you reach your goals. A 6-Month nutrition-based program for both you and your partner to help both parents build up their nutrient stores, get the mother’s body in optimal condition to conceive and carry a child, and ensure healthy DNA is passed onto your children, and your children’s children. Is Nutritional Therapy Right for You? You are 100% committed to the process. You are willing to make changes to your diet and lifestyle. You are willing to spend more time in the kitchen to prepare real food. You are willing to prioritize sleep and stress management. You are fed up with feeling sick, tired, run down, and constantly craving sugar. You want to experience side effects such as more energy, better sleep, reduced sugar cravings, and a clearer head. You are NOT 100% committed for the duration of the protocol. You are not willing to make changes to how you eat, to make time for food preparation, or to prioritize sleep and stress management. You are not willing to eat any animal products. We can work with you if you are vegetarian if you can commit to still eating good quality eggs and dairy, but, unfortunately we won’t be able to make progress if we are leaving major nutrient groups on the table. We are happy to explain more about why certain nutrients must come from animal sources! Developing a Taste for REAL FOOD! Schedule a free 30-minute video conference consultation with Rosemary and John to find out if our approach is a good fit for you. Click “Schedule My Consult” to book a convenient 30-minute slot to chat. 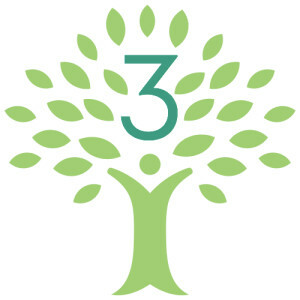 Schedule a free 30-minute video conference consultation with Rosemary and John to find out if 3 Months to Flourish™ is a good fit for you. Click “Schedule My Consult” to book a convenient 30-minute slot to chat. If you are wanting to conceive in 6 months to a year, we can help you get your body in optimal condition to conceive and carry a child. Eating a nutrient-dense, properly prepared diet will not only help improve your overall health, but also affect your ability to reproduce, the health of your children, and the health of your children’s children. We work closely with couples prior to conception, as the diet of both parents (not just the mother, as is commonly believed) directly affects the health of DNA, the likelihood of conception, the chance of miscarriage, and the health of the baby. Healthy parents = healthy babies. Both you and your partner are 100% committed to the process. You are both willing to make changes to your diet and lifestyle. You are willing and financially able to stick to an assertive supplement protocol (on top of changes to diet). Both you and your partner are not both 100% committed for the duration of the six months. 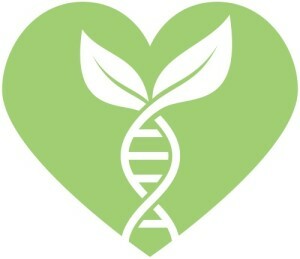 We only work with couples because DNA is 50/50, and health comes from both parents! You are not willing or able to take supplements to build up nutrient stores or enhance function of the body. Ideally, we would like to just do this with food, but since we only have six months to correct nutritional deficiencies, we have to take a more assertive approach, and that includes supplementation. Schedule a free 30-minute video conference consultation with Rosemary and John to find out if the Preconception Protocol™ is a good fit for you and your partner. Click “Schedule My Consult” to book a convenient 30-minute slot to chat. Welcome to Flourish Fundamentals! I am Rosemary Fotheringham, a certified NTP® (Nutritional Therapy Practitioner) dedicated to helping others feel and look radiant, overcome sugar addiction, and live happier, healthier lives through the power of real food.